Are you looking for a quick fix to editing pics on your Mac? In a world infested with heaps of photo editing software for Windows, it is surely hard to come across a reliable tool that is nothing but the best photo editor for Mac. Of course, there are paid ones on the App Store but they cost a dime a dozen. So, that narrows down your search to a decent free photo editor for Mac. Now, there are many software that claim to be amongst the best free photo editors for Mac and this or that, but they all kinda seem dubious. 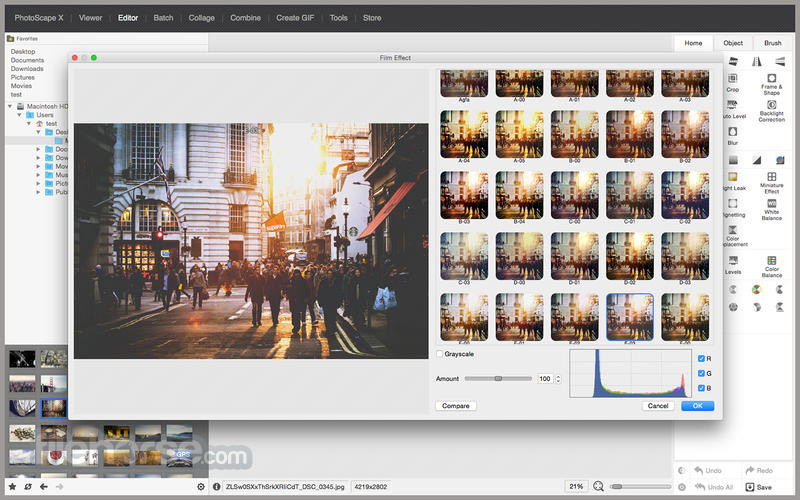 So how will you figure out the most suitable photo editor for your Mac? Worry not, we have compiled a list of some of the best free photo editors for Mac that are going to take care of all your photo editing needs. Let’s get started! 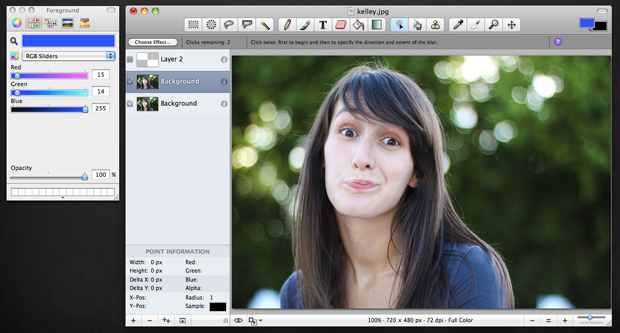 A very popular open-source image editor, GIMP is often described as a free doppelgänger of Photoshop because its features and user interface starkly resemble Photoshop. If you want to enhance photos in real-time, GIMP’s single-click retouching feature will come in handy. So much so, it boasts some pretty cool plugins as well and supports plenty of input/output image formats. 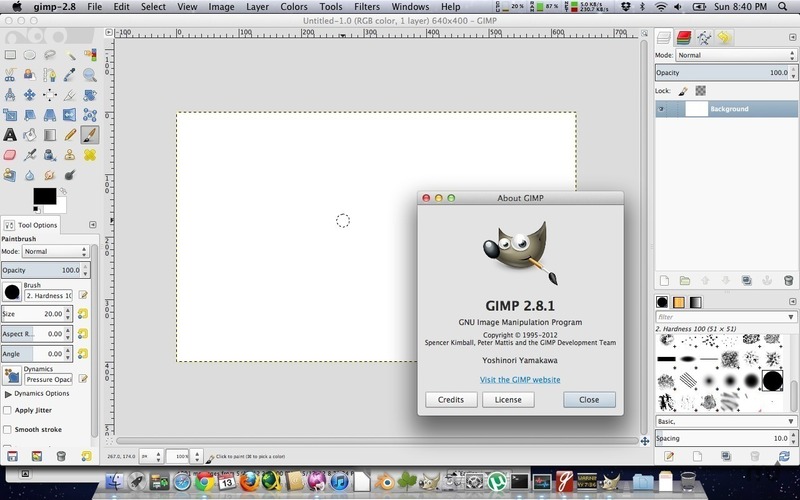 Although GIMP works like a charm for most Mac users without any lags, it is not compatible with Mac OS 9 and earlier versions. 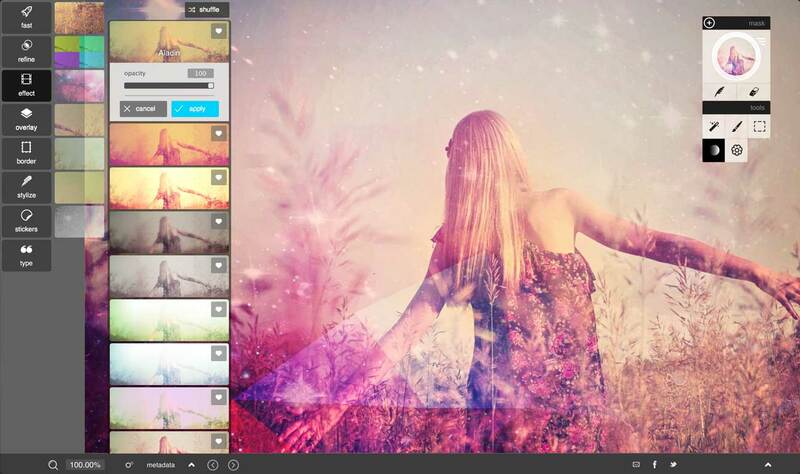 After already establishing itself as free online photo editor, Pixlr has ventured into the field of free software providing photo editing amenities for Windows and Mac. Especially for Mac users, Pixlr is indeed a reliable photo editor that has a lot of tricks up its sleeve. Compared to the likes of Photoshop, Pixlr is all about easy installation with an uncluttered and easy-to-use user interface. What’s more, it lets you apply effects, overlays and borders, and do creative fixes quite quickly. Don’t be fooled by its simple interface, if you want to churn out multiple images in multiple output formats, Pixlr can still come in handy. However, you would want to buy the Pro version to get more advanced features such as Influence Panel, masking, etc. Pinta is one of the best free photo editors for Mac OS X when it comes to pixel-based image editing. What struck to us as perhaps the most interesting aspect of Pinta was that it is developed on the lines of Windows photo editor, Paint.NET. 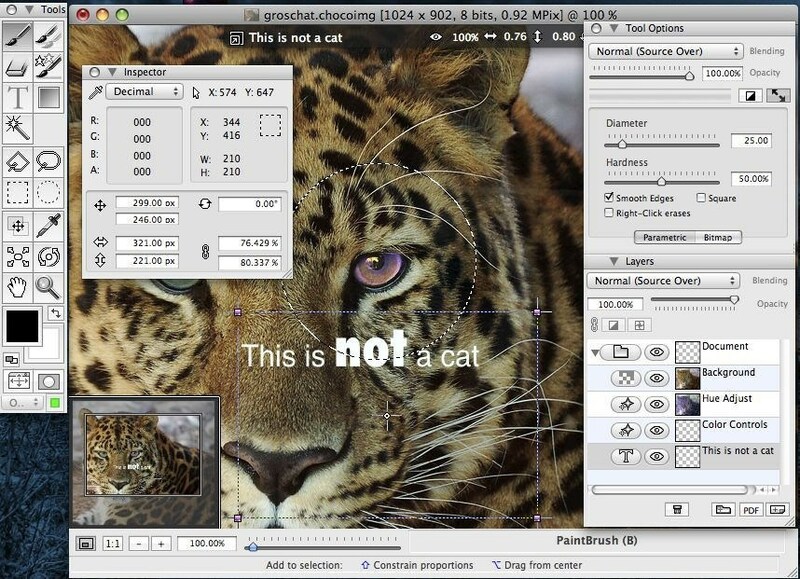 Thanks to Pinta, you can make use of all the basic drawing tools common in a photo editor. There are some advanced features too such as a gamut of image adjustment tools and layers. 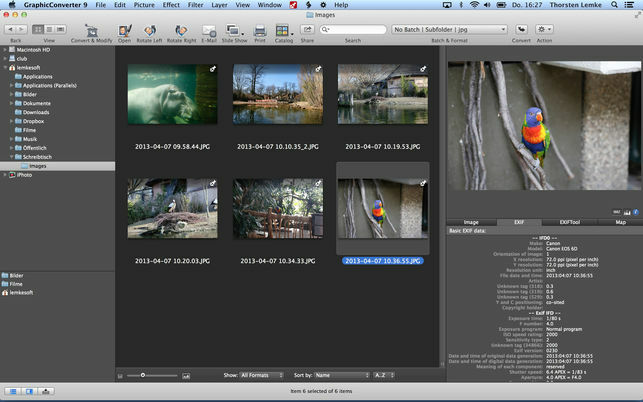 All in all, Pinta is a viable tool for Mac users who want to edit and improve their digital photos. Developed by Cocoa, Seashore is an open source photo editor that has been designed on the lines of GIMP’s technology, as in, it uses the same native file format. What else does it boast? Seashore can be used to add textures, gradients, etc. It also supports alpha channel editing and multiple layers. Moreover, you can also do anti-aliasing for both text and brush strokes. However, if you are seeking a full-fledged photo editor, then Seashore might lag behind in terms of number of features it has to offer. Considered by many as of the best free photo editors for Mac that supports multiple file formats, GraphicConverter is a multi-purpose graphics tool that can be used for editing, viewing and converting images in plenty of formats on your Mac platform. If you ever get stuck on a file format or image processing task that cannot be handled by your existing software, chances are GraphicConverter could do it for you. However, that being said, GraphicConverter takes a steep learning curve to get used to and will only appear worth your while once you get the hang of it. So, it does need some changes in the usability department. Also, if you want batch processing features, you might want to go premium. A fun and easy-to-use free image editor for Mac, Image Tricks is a decent app that offers a wide range of effects that can be combined and applied to pictures. If you want to experiment a lot with your snaps i.e. through filters and all, Image Tricks is a great option. So much so, thanks to a wide range of filters and masks, less experienced users will also find it an ideal app to achieve creative results. There is also a paid version of Image Tricks that comprises loads of filters, and you can even apply those effects on your images in the free variant, but without being able to save them. Although still under development, Chocoflop is counted amongst some of the best free photo editors for Mac especially if you heavily edit photos quite often. 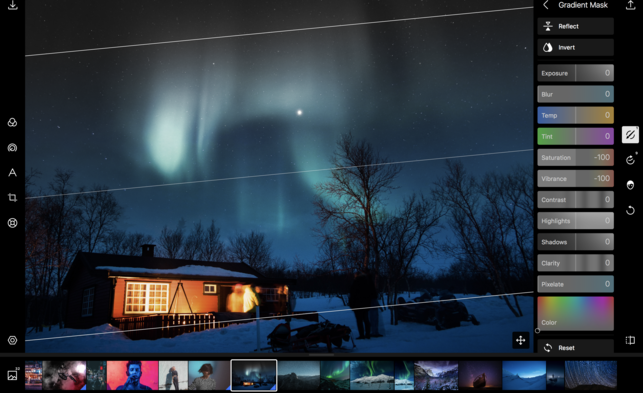 Some of its shining features include core image filters, raw support, rich text, etc for editing photos. It is also non-destructive, as in you can undo your changes and revert to the old state of the image. Be forewarned though, it might not be a good idea for people to use Chocoflop if they seldom do photo editing. Primarily designed for digital painting and making art workflows, Krita is a nifty open-source digital platform that can also be used to edit photos on the go. 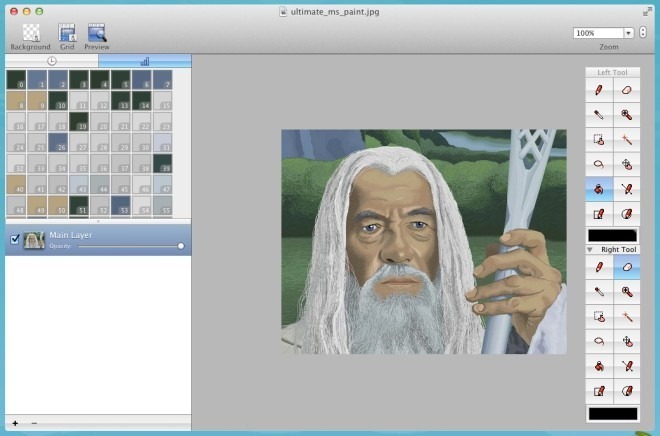 Krita is capable of handling basic photo editing tasks such as cropping and adjusting images among others. 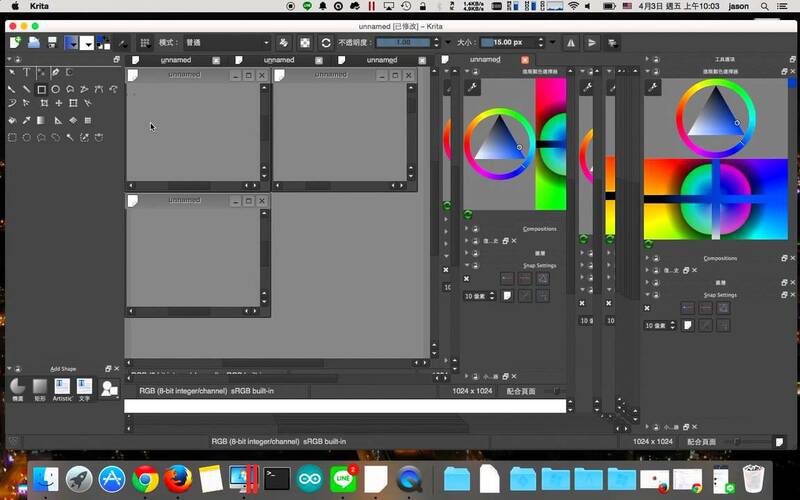 In fact, Krita’s line tool is similar to its counterpart in Corel painter. Then there’s some cool perspective tools (perspective grid, etc.) which make it easy for you to draw points on a canvas. Moreover, to enhance your digital painting, you can easily access colour picker and brushes as they are displayed right on the screen. Are you only looking for a basic photo editor for your Mac that is also free? If yes, Photoscape X will fit the bill for you with a total of seven features that are enough to keep your basic photo editing needs covered. Ranging from the likes of Batch Editor, Merge, Print and Viewer to Animated GIFs, Photoscape X works like a charm for basic fixes. Not to mention, the cropping ratio is just brilliant as it allows you to freely determine the final print ratio. One downside though, you won’t be able to add any layers in Photoscape. 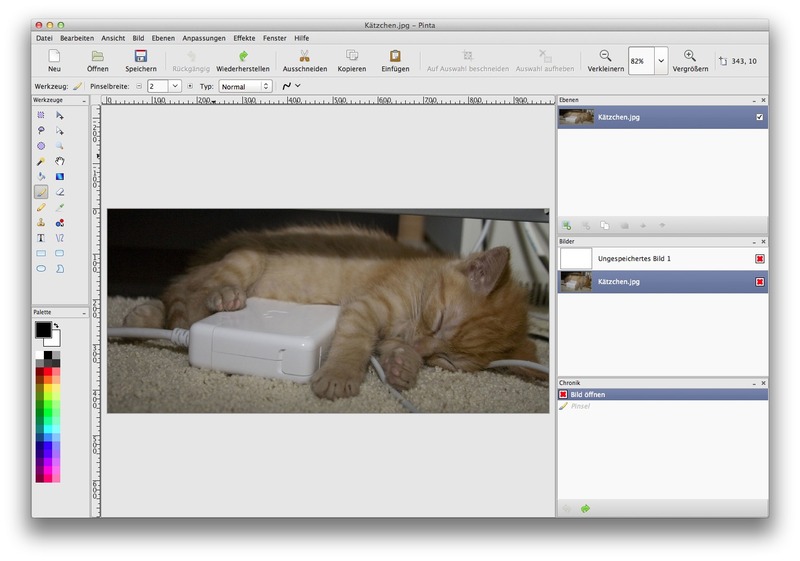 If you are seeking pixel based editing on a free Mac OS X image editor, then have a look at Pixen. It is also very deft at carrying out animation edits and is full of features such as multiple layers capability, title view, etc. And…that’s a wrap! 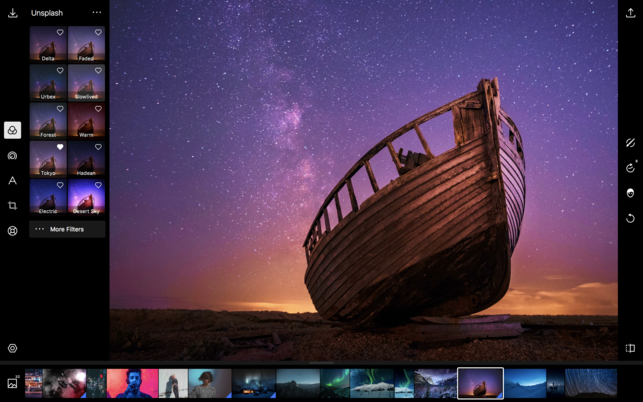 Did you like our roundup of the best free photo editors for Mac? Did we miss out on some of your favourite ones? Let us know in the comments.